Please rate and leave your comment !Yourfeedback is our fuel to get better always !! WhoIsCalling is an application that will speak the caller IDinfosearching for contact name in your agenda and if not found,willspeak the number of the caller (digit by digit). WhoIsCalling uses the built-in Android TTS(text-to-speech)engine (or anyone that you have installed) to speakthe caller idwhen he/she calls you. It will check if there is anyTTS engineinstalled and if not, will redirect you to the AndroidMarket toinstall it. - Customizable start and end message. 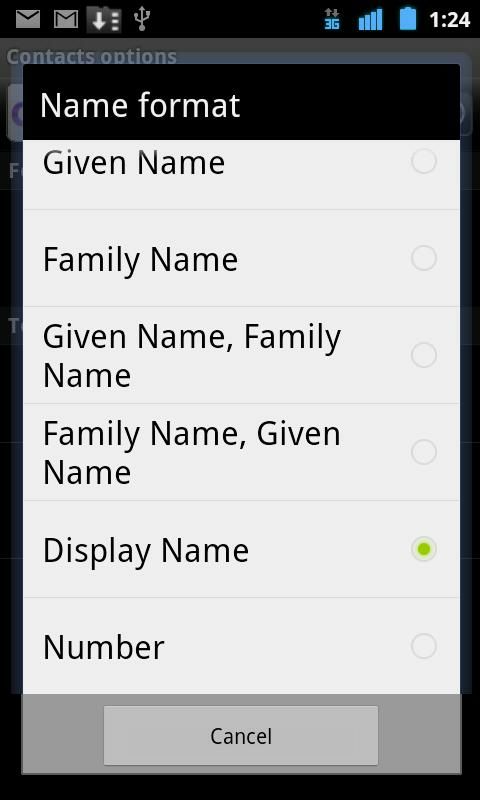 - Customize language (from the already installed ones) specificforthe app. - Move 2 SD feature implemented. Now you can move the app toyourexternal storage. - Customize if it should speak contact phone type (Home,Mobile,Work, etc...). Can be enabled or disabled. - Ability to mute ringtone and only speak the name for allcontacts,or for specific contact..
- Ability to choose specific TTS engine for the app (from theonesinstalled into device). If you are having trouble, find any issue or have any suggestiontobe implemented in the application, please contact me in theemailbelow (website will be online soon). Ever wondered if there is a way to know who is "Calling" while youare "Driving" and the Phone is in your Pocket...? Or who send youMessage's while you are in another Place and received an Message's?it simple Speaks Everything..... Incoming Caller Name Talker speaksout the Incoming Caller name and Message or SMS sender name so thatyou can identify who is calling without looking into your phone....It can even read the Message's content for you. And the best Thingis, it is total FREE. "Incoming Caller Name Announcer" or "CallerName Speaker" use the built-in Android text-to-speech engine tovoice the caller or Message SMS Sender ID.... "Incoming Caller NameTalker" : 1- Caller Name if exist in contacts... 2- Caller Numberif Name not exist in contacts... 3- Speak Message Sender Name &Contents.... Features: * One Tap to In Caller Name Ringtone toDisable/Enable Call and SMS Announcing feature.. . * Caller NameTalker speaks out the caller name from Contact, it Voices thecaller id over your existing ring tone. * Speaks Number, if callername not found in the contact list. * Announce SMS Sender namewhile receiving an SMS. * Read Message's content. * Volume'sSettings * Text's To Speaks Settings * Ring tone's SettingFeatures: Easily customize your Caller Name Talker or ringtoneapplication ★ Enable/disable speaking caller name ★ Enable/disableincoming SMS sender name only ★ Enable/disable incoming SMS sendername and contents of the SMS ★ Multiple time announcements ★Choosing delay time between announcements ★ Announce while silentoption checkbox ★ Ringtones settings ★ Volume Settings ★ Changedefault speaking language ★ Change default speaking language speed★ For voice, You can select any available language in the phone ordownload high quality voice Automatic Flash On Call & SMSBright Free Flash on call and SMS alerts application. Pretty usefulflash alerts in dark places or in meetings where ringtones orvibrations causes disturbance. Multi colour Flash alerts on call isa smart tool to remind you of incoming call or SMS with cameraflashlight. So this flash on call and flash on SMS notify you byflash alerts with LED blinks. Flash On Call and Flash on SMS willuse your device camera flashlight to start blinking when receivinga call or an SMS. Flash on Call and SMS will make your life easierby letting you know about every call and SMS through flash blinks,that if your mobile device is mostly silent you are bound to miss.The caller id tool alert is fast and to the point since the appwill announce very fast and accurate. This is the perfect phoneincoming caller name announcement if you are in need for such anapplication. Seeing the incoming caller name id is very usefulcaller talker. 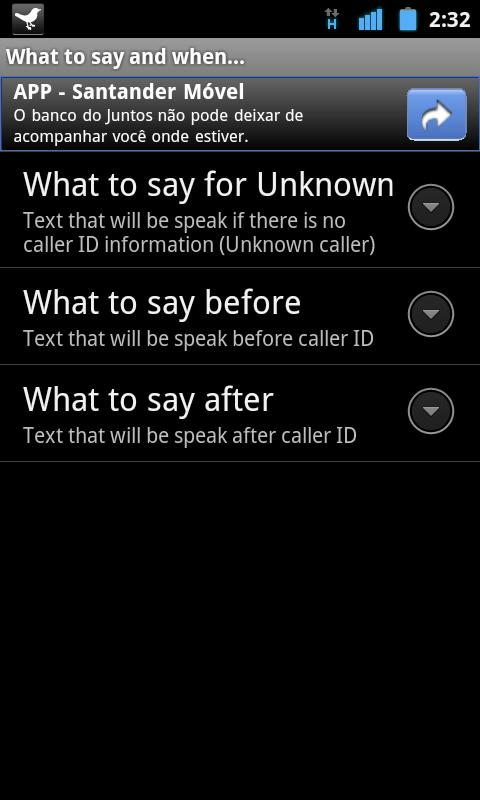 Yes, you can easily hear who sent the text smsmessage and understand the incoming caller ID. With this callername talker alert you can easily get precise, high quality verbalannouncements immediately since the app says caller name fast andsimply clear. Caller Name Talker will announce incoming caller IDand SMS sender name, and notify you who is calling. Caller NameAnnouncer speaks the name of caller and speaks the incoming SMSwith name and also speaks the SMS content. Caller name speaker ishighly applicable in a situation like if you are driving car or anyother vehicle and the smart phone is in your pocket and some onesends you an SMS while your smart phone is in other room. 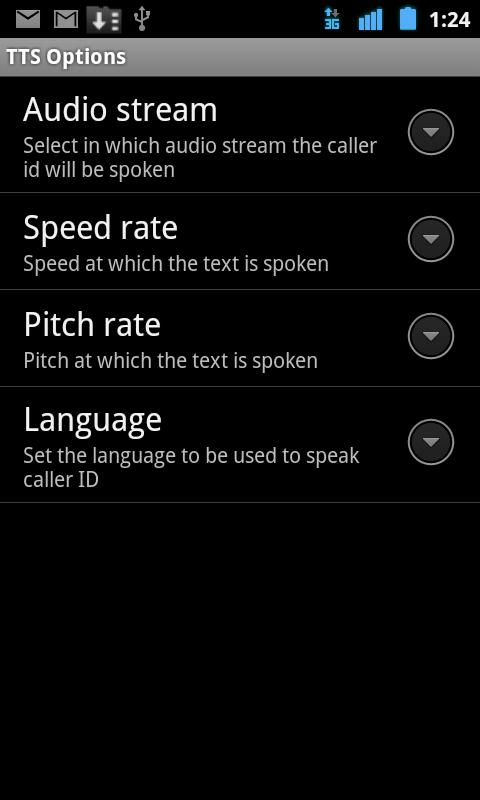 CallerName Announcer uses the built-in Android text-to-speech (tts)engine to speaks-out the incoming caller name or SMS messagessender name and contents of the SMS. The caller name speaker willimmediately use the phone speakers to announce the name fast andwith great voice convenience. 3 million + trustworthy users Caller Name Announcer speaks everything while some one is calling you or send you a message, you willidentify it with out looking to your smart phone.Caller NameAnnouncer. Are you Looking for the the best incoming message andcaller announcer for Android? You found it! Use it for video call,or caller name announcer for whatsapp. No.1 app for Caller NameAnnouncer, Caller Name Speaker & Caller id. Caller NameAnnouncer is highly applicable in situations like if you aredriving and your phone is in your pocket or some one sends you anSMS while your phone is in other room. This talking caller id willannounce with the caller name announcer or sms sender name thatwill awake your mind. Caller Name announcer announces every thingwhile some one is calling you or send you a message, you willidentify it with out looking to your smart phone. Caller nameannouncer announces the caller name with this calling app theinstant you receive an incoming call or SMS text messages. This isa powerful caller ID number calling app Android app, that finds outwho called you immediately, even before you take out your phone andsee the screen to check contact number or the message in thiscaller name announcer. Phone caller number. This application is acaller name talker which speaks out the incoming caller name ,message sender name and message contents so you can identify who iscalling and who sent you sms text message without looking into yourphone. It voices the caller id of the calling person over yourphone’s ringtone. Caller name speaker will not work if your smartphone does not have text-to-speech library but this is not aproblem you can easily download it from Google play store. Callername Talker is an incoming call announcer and caller name talkerapp which identify whos calling. Identify caller Id and calling applike this caller name announcer. Caller Name Speaker is a Phonenumber or Caller Name Talker application. Caller Name Speakerannounces the name or the number of incoming call or SMS. CallerName Speaker can also read the content of SMS. Caller nameannouncer is an announcner app which announces who is calling youor sent you an sms. Caller Name Announcer Announces ★ Caller nameif exist in contacts ★ If does not exist in contacts, call thatunknown ★ Speaks incoming SMS contents and sender name AvailableSmart Features : Easily customize your Caller Name Announcer withbundles of available options ★ Enable / Disable announcing callername ★ Enable / Disable incoming SMS sender name only ★ Enable /Disable announcing SMS contents ★ Turn ON / OFF caller nameannouncer if phone is in silent or vibrate mode. 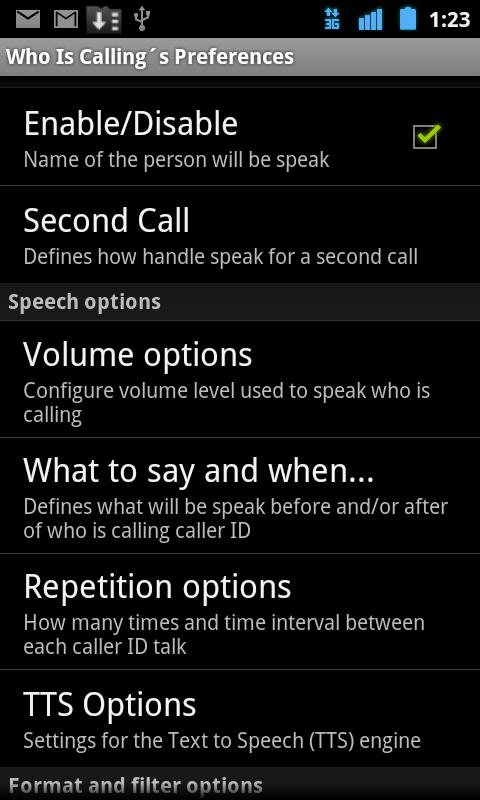 ★ Turn ON / OFFcaller name speaker while other phone call is active. ★ Choosedelay time between announcements ★ Press volume key up or downbutton to stop SMS announcement ★ Decrease ringing volume on calloption for caller name speaker ★ Ringtones and Volume settings ★Change default speaking language, speed and pitch + Announcement in40 Languages supported Special Highlights: - Caller Name AnnouncerON / OFF. - Flash Light Alret on Call and SMS. - SMS Sender SpeakerON / OFF. - Speech Rate Control. 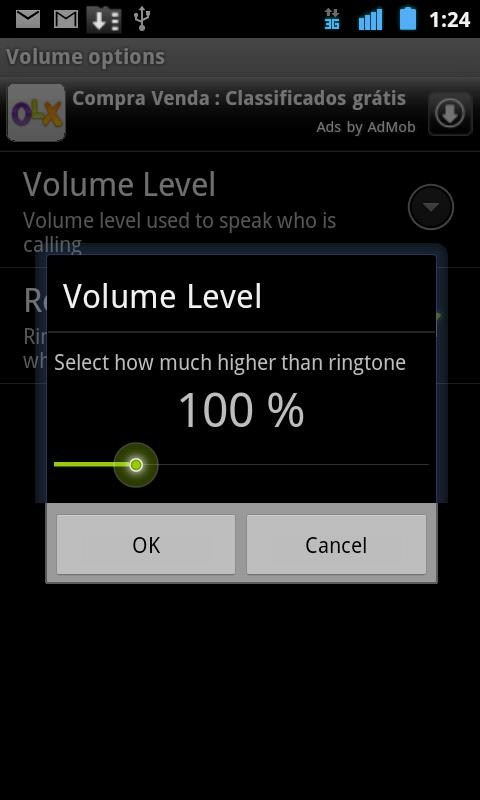 - Ring Volume Control. - LanguageChange Option. - Speech Volume Control. - SOS turns mobile phoneinto Disco Lights. - Super Flash Light Torch Brights the nights. Record any phone call you want and choose which calls you want tosave. You can set which calls are recorded and which are ignored.Listen to the recording, add notes and share it. Integration withGoogle Drive™ and Dropbox allows calls to be saved and synchronizedto the cloud as well. Google Drive integration works on Androidversions 3.0 and above. Please note that call recording does notwork on certain handsets and can result in inferior qualityrecordings. We therefore suggest that you try the free versionbefore purchasing the paid app. If you encounter any recordingissues or wish to improve voice quality, try recording from adifferent audio source, or use auto-on speaker mode. Recorded callsare stored in the Inbox. You can set the size of the inbox. Thenumber of saved calls is limited only by your device memory. If youdecide that a conversation is important, save it and it will bestored in the Saved Calls folder. If not, old recordings willautomatically be deleted when new calls fill up the inbox. You canenable a Call Summary Menu with options to appear immediately aftera call. Search for recordings by contact, phone number, or note.There are 3 default settings for automatic recording: Recordeverything (default) – This setting records all calls except forcontacts pre-selected to be ignored. Ignore everything – Thissetting records no calls except for contacts pre-selected to berecorded. Ignore contacts – This setting records all calls withpeople who are not contacts, except for contacts pre-selected to berecorded. In the Pro version only: You can set calls fromparticular contacts to be automatically saved, and they will besaved in the cloud. This app contains ads. NOTE This is only ANDROID_ID changer. REQUIRED ☀Your Device must berooted for using this app FEATURES: ☀This Device ID Changer AppProvide you facility of changing your phone ANDROID_ID which isunique for every device. ☀This App backup your original ANDROID_IDwhich can be restored again when you need. ☀By this App you canfill random id with only one click. ANDROID_ID A 64-bit number (asa hex string) that is randomly generated when the user first setsup the device and should remain constant for the lifetime of theuser's device but it can be change by factory reset of phone. Whenwe factory reset phone every time ID change. By this app we canchange ANDROID_ID without reset phone because when we reset phoneour phone data may lost. By this app our data is safe and we caneasily reset ANDROID_ID. For this caller ID app free fake outgoingcall, you can make a fake call and you can fool your friends toactivate a fake call.fake caller id and Boyfriends Boys or girlsand girlfiends - Joke to make free calls joke and false pretensethat you call your boyfriend or virtual girlfriend or anyone else,it is yours.Free joke most professional and beautiful calling application onAndroid Market! Take the pain, treat yourself to a phone call or acall faker id spoofing!Create your own caller id faker with pretty girls and boys. Selectpretty girls or boys photos from the phone gallery or take apicture using the phone camera and enter pretty girls or boys namesname and mobile phone number.caller id faker - Prank your beautiful Girlfriends or boyfriend andfriends you have many girlfriends or boyfriends.With this caller ID spoofing, you can create fake incomingcalleridfaker to avoid intolerable situation of your life.false number application is the perfect prank to play on friendsand family!You want your friends to think you get an important call and youstill prefer to celebrities such as President or othercelebrities?Fake Caller helps you select a caller from your contacts list orenter a new contact. One can also select the time to call and setup multiple fake calls at different times.This application allows you to define a voice calling, delay,contact number of the own list or manually in the latest release ofBackup and get an incoming call. It has attractive graphics, easyto use. You can select and change the image of the caller bycalling clicking icon in the Settings menu. Now install it for freeand have fun and joke with your friends.How to find fake caller id number:- faux call.- fake caller ID.- fake call farce.- fake call and sms.- fake false calls.- fake calls for children.- caller id spoofing- spoof call- spoof call free- fake phone number- spoof phone number- call with fake number- free fake phone number- fake phone app- make a call from a fake number- spoof dialCharacteristics- You can set alias girl friend or boyfriend.- You can define false girlfriend Photo fake telephonenumbers.- You can set your girlfriend that you want to talk with you.- You can set your girlfriend number.- You can set your girlfriend fake call schedule.- You can select your photo friend directly from the gallery ortake a picture of the camera.- We offer 2 options while incoming call false 1. Ring Mode 2. Modeof vibration.- Wrong number to call someone.For this application, you can make a fake call and you can foolyour friends to activate a fake call. Schedule a call and just geta fake call with your numbers of choice, photoes of choice.This application allows you to define a voice calling, delay,contact number of the own list or manually in the latest release ofBackup and get an incoming call. It has attractive graphics, easyto use. 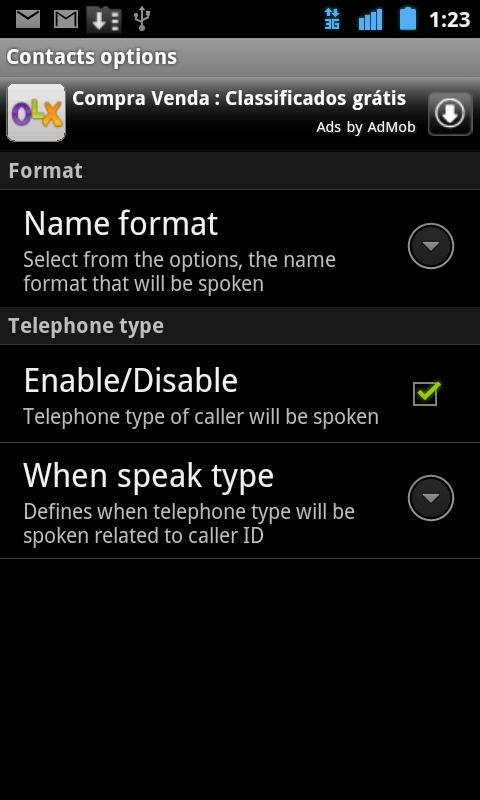 You can select and change the image of the caller bycalling clicking icon in the Settings menu. Now install it for freeand have fun and joke with your friends.If you like this spoof my call give it 5 stars. Download Call Screen for Free.Calling Screen Changer for androidapp gives you the facility to set call screen when incoming andoutgoing calls.Caller Id app is very easy to use and customise thescreen as per you want.Make your call screen more attractive.CallScreen will display all details about your call on incoming &outgoing screen as user want and they can easily use.Calling ScreenMain Option- Incoming Screen- Outgoing Screen- User ContactsListCall Screen Features- you can set speaker call on callingscreen- you can set new Ringtones for incoming calls- you can setIncoming Screen for incoming calls.- you can set Outgoing Screenfor outgoing calls.- you can send short messages when you don’twant to pick up calls.- you can set reminder for calls- you canselect contacts for call screen mode. Are you get bored with stock(default) android calling screen? Nowyou can change your all contact’s with your desired photo accordingto your own choice.【More Feature】1.Chose your contacts which youwant to set different photo.2.Chose photo from gallery orcamera.3.Set it for further calls, you may set default themealso.4.Works perfect even without internet connection.Simply yourcalling screen looks very pretty.Any suggestion or feedback's arewelcome.